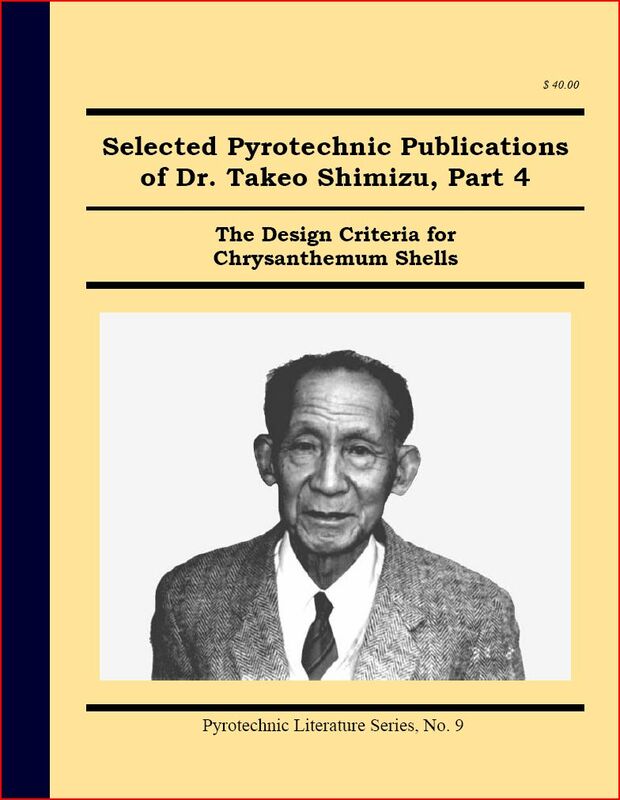 This volume contains is a translation of Dr. Takeo Shimizu’s 1955 PhD thesis concerning the many technical aspects of designing chrysanthemum shells. The thesis was translated from Japanese to English by Dr. Shimizu. The book contains about 140 pages of text and 20 pages of data tables that have been formatted as a 2-column, 8½×11″ format. [ISBN 1-889526-14-2]. A reveiw by Jack Drewes of this book appeared in Fireworks Business, December, 2003. Pre-calculations and preparation for experiments. Ballistic tables for moving stars. Comparison of calculated and experimental ballistics.